"MTE Arbitrage is a revolutionary all-in-one, multi-platform blockchain enabled arbitrage software that emphasises a user-friendly interface to ease the complexities of arbitrage as a process, as well as maximising the number of opportunities for increased profits. 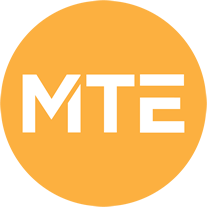 The MTE Token is the fundamental basis of MTE Arbitrage. With it being the subscription and function mechanism of the software, the tradable asset is imperative for the growth and expansion of MTE as a software and as a company. Our goal is to simplify the nature of arbitrage to enable the general public and corporations all around the world to benefit from small and large-scale risk-free profits. To strip down the formulas and background work, making it easier to find arbitrage opportunities even for expert arbitragers."